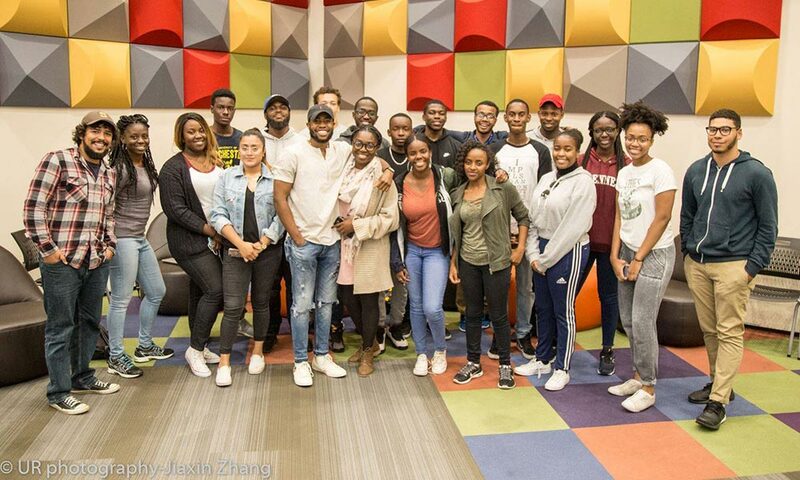 The STEM-Gems program uses data-based retention strategies to help historically at-risk undergraduates on their way towards a degree from the Hajim School of Engineering and Applied Sciences. Students in the STEM-Gems program get help from both academic counselors and Hajim School graduate students who reach out to undergraduates even before they get to campus through the Early Connections Opportunity (ECO) program and through a targeted communications plan over the course of students’ undergraduate tenure. In addition to helping with personalized academic interventions for STEM-Gem students, the STEM-Gem coordinator also studies performance in introductory chemistry, math, engineering, and physics courses. Through this analysis, the Hajim School has been able to forge relationships with these academic departments to address both positive progress of individuals and coordinate appropriate course placement when applicable. Students who are interested in joining the STEM-Gem program should fill out this online form to get in touch with a STEM-Gem advisor. In 2010, the STEM-Gems program was created with the underlining concept of developing and implementing data-based retention strategies for historically at-risk Hajim School undergraduates. At the time the program was created, the definition of “at risk” was reserved for underrepresented minorities, low-income, and first-generation college students. In 2016, the Hajim School's STEM-Gems program received a University Meliora Award in recognition of its dramatic success in retaining 'at risk' students. Jenny Quintero '16 of biomedical engineering, wrote a letter nominating the program for the award.